Identity theft is the act of impersonating someone else by assuming that person’s identity. The usual reason for committing identity theft is to obtain resources, credit and other benefits in that person’s name. In the most extreme cases, identity theft can be used to help further phishing, espionage or, even, terrorism. Identity theft does not discriminate. Four percent of the U.S. adult population – 12.7 million people – were victimized in 2014, including over 1.5 million in California. Identity theft is also expensive. 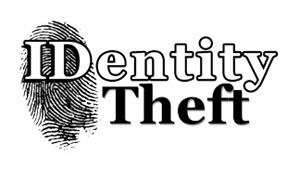 The total cost of identity theft to victims and businesses in 2014 was $16 billion. The average victim spent $365 and 12 hours to resolve the problem and clear up records. The number of victims increased 8% in 2012, up from 11.6 million in 2011 (Source: Javelin Strategy & Research “2015 Identity Fraud Report,” released in March 2015). Criminal Identity Theft – Using someone else’s identity at the time of an arrest is referred to as “Criminal Identity Theft.” Individuals committing criminal identity theft will usually be exploiting personal identity documentation obtained either through illegal channels or by stealing it from someone – the essence of identity theft. The identity of many perpetrators remains unknown even after the crime is discovered, allowing the guilty to walk free even as victims are blindsided by background checks or informed during a routine traffic stop that their license has been suspended – or, worse still, that there is a warrant out for their arrest. Identity Cloning/Concealment – This type of identity theft occurs when someone impersonates another person in the hope of concealing their true identity. There are many different reasons why a person may commit identity cloning; some of the more common examples are illegal immigrants and individuals hiding from creditors. In many cases this type of identity theft can go undetected for a long time, because these lawbreakers typically maintain a low profile and to do attempt to use their fictitious identities to gain credit. Medical Identity Theft – Fairly self-explanatory, this type of identity theft occurs when an individual seeks medical care under someone else’s name. Along with the risk of financial harm, the listing of inaccurate information in the victim’s medical history can affect future insurability and be the cause of imprecise medical care. Child Identity Theft – This occurs when someone uses the Social Security number of a minor for financial gain. The impostor can range from a parent to a complete stranger. Since a child’s Social Security number doesn’t yet have any information associated with it, a thief can use it to establish lines of credit or even buy a house, and this abuse can go on for years. The nonprofit Identity Theft Resource Center reported received 298 calls related to child identity theft in 2015, about 5.4% of the all cases it reported. Synthetic Identity Theft – This type of identity theft that has become very common. “Synthetic Identity Theft” involves matching up a real Social Security number with a fabricated name and birth date; it’s hard to detect since it doesn’t show up on any real person’s credit report.